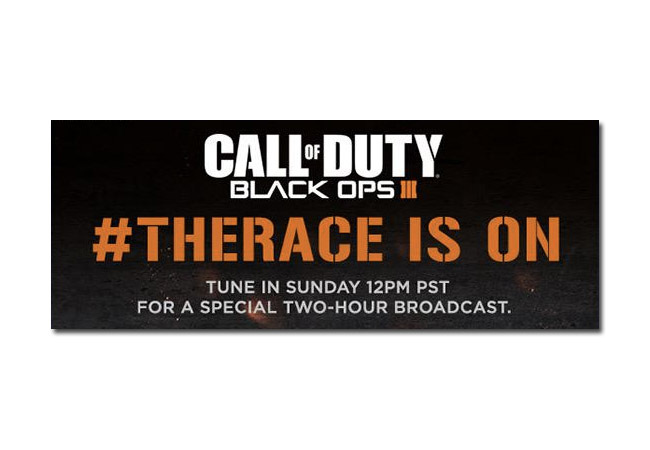 This Sunday April 26th, The Race will be doing a special Twitch stream sponsored by Black Ops 3. According to IIJERiiCHOII’s Twitter, this is the big announcement he’s been wanting to talk about and they will be collaborating with Black Ops 3 over the next few months until its release. Make sure to tune into The Race’s Twitch on Sunday, who knows what they unveil.